Devian Mims artist known as Big Binky began his music career in 2005 hailing from the great State of Texas. This heavy-weight contender of down-south Hip-Hop/Rap music reigns supreme in lyrical content coupled with a high caliber of fresh original production to match. With a growing reputation for hosting hype parties and concerts in addition to lively music performances Big Binky’s unique way of engaging the crowd has catapulted him in the arena of well sought-after entertainers. His freshman album Didn’t See Me Coming reached wide acclaim and popularity. Hater Music Vol. 1 as his second release captivated his initial fan base and generated sizable revenue while attracting more fans. His sophomore album Time 2 Eat was released on his birthday November 24 2010 at the Big Binky’ Time 2 Eat Album Release Party Birthday Bash with a vast number of supporters in attendance. The Time 2 Eat album continues to gain popularity not only in Central Texas but also across the United States of America. Digital album and single sales have accounted for a substantial portion of his music success and popularity reaching an even broader base of listeners throughout the U.S. and internationally. Big Binky topped the Indie Charts within one day in January 2012 with the hit single Hammer on the Block holding prominent positions such as 1 Top Songs 2 Hip-Hop 9 TOP 500 (all genres) and 4 Top Videos. Present work includes the highly anticipated Rags 2 Racks album and DVD featuring prominent rap legends as platinum artist Lil KeKe Big Chief and J Dawg to name a few nationwide performances community-related initiatives and entrepreneurial endeavors. BIG BINKY made the Featured Top Indie Picks with a 7.4 Panel Score. 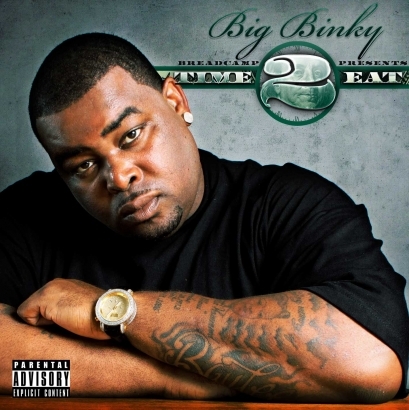 BIG BINKY has made it also as one of our Featured Artists.